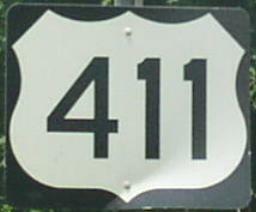 U.S. Federal Route 411 runs north-south along the eastern boarder of the state. Info on U.S. Rt. 411 is broken down by county below.